In the end of the year we are looking for new year gifts. We can suggest you effective new year gifts. You have an opportunity to make exclusive new year gift by sending your wishes around the world. 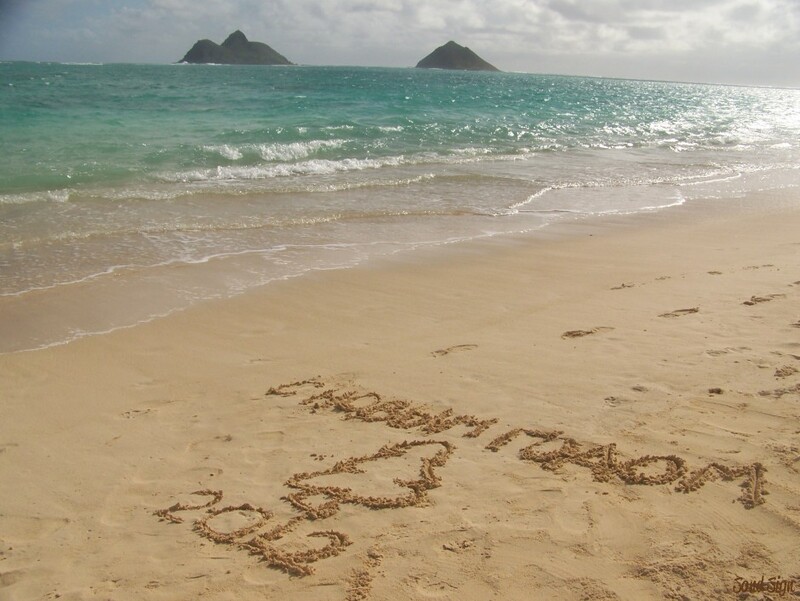 So your words will be written on the best tropical beaches of the planet. It’s fantastic new year gift idea! You can give your words like a picture to make your dear people happy every time when they are see this piece of your wishes written in other part of the world. Make exclusive new year gifts for New year 2013 with Sand Sign. Give a positive emotions and happiness! You will get beautiful qualitative pictures, fascinating new year gift video. You can decorate your christmas or new year greeting on the sand with flowers or add seashells as well. We garantee high quality of acting! It will be the best new year gift! Wish you all the best for the festive season!